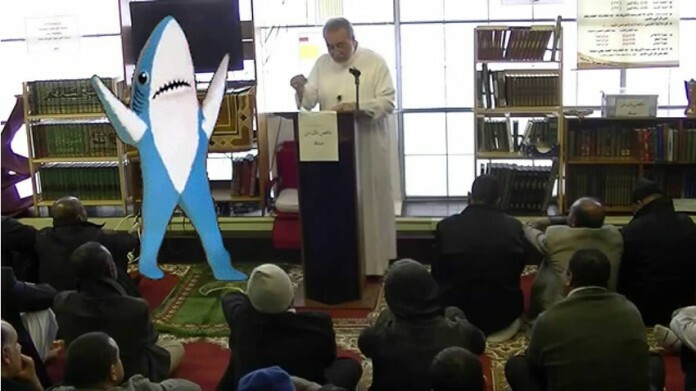 Glendale, AZ – Left Shark made a walk-on appearance during this Friday’s khutbah (sermon) at the Islamic Society of Glendale. Puzzled worshippers were encouraged after witnessing the mascot take shahada and pronounce his conversion to the Muslim faith. Some expressed disappointment, however, noting they preferred Right Shark and hoped the companion sea-dweller would convert, as well. The 2015 Super Bowl sensation was unavailable for comment.